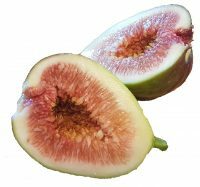 There’s something archaic about figs, with their ancient past and symbolism of fertility, peace and prosperity – this delicious syconium is well worth growing in your home garden! Reaching a peak of 10 to 30 feet high and living longer than most other fruit bearers (some up to 100 years old), a fig tree is a worthy investment! 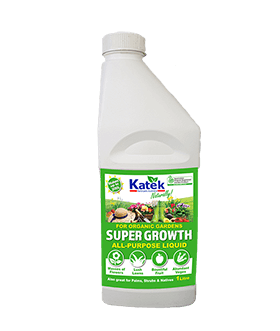 Fertilise with our Katek Citrus & Fruit Fertilizer every 6-8 weeks to encourage better flowering & an abundance of fruit each season! For better growth & a strong tree when establishing, make sure young plants are kept well watered, especially during hot, dry periods. Although mature trees tolerate cold and frost, protect new plantings from frost until they have grown over a metre high. The best location for your fig is somewhere in full sun, in well drained soil. Don’t forget to mulch around the base of the tree and keep up a regular watering routine as well! 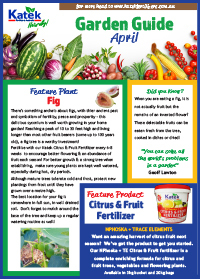 Citrus & Fruit Fertilizer with N-Phoska and Trace Elements! Want an amazing harvest of citrus fruit next season? We’ve got the product to get you started. 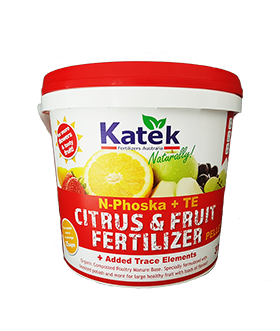 Our NPhoska + TE Citrus & Fruit fertilizer is a complete enriching formula for citrus and fruit trees, vegetables and flowering plants. Laurel & Gary English, Greenhill, North Queensland. Laurel and Gary English live in the beachside village of Greenhill about an hours drive south of Mackay in Central Queensland. Having to deal with poor soil quality and limited water due to no town supply, has meant Laurel has found gardening a bit of a challenge. 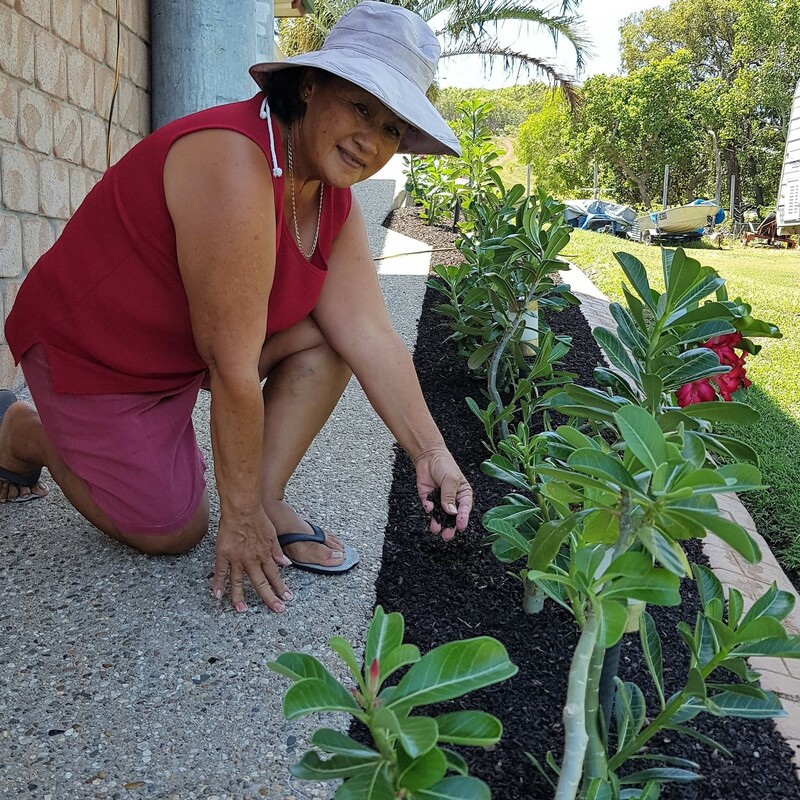 However things changed for the better when a neighbour told her about Katek`s Not Just Mulch. “We put the mulch down and noticed straight away how the soil stayed wet for much longer than before. The bigger surprise was in a few weeks when the plants all started to show new growth, just like when you put a small dose of fertiliser on”. “Our garden has never looked better!”. Its the best time of year to be planting Australian native trees and bushes! They are made to withstand all harsh climate conditions whether in drought or frost zones. Australian natives attract a variety of native bird species which are great pest controllers for your garden! Plant garlic varieties suitable to your climate zone and harvest in 17-25 weeks. Sow some bee and butterfly attracting flowers and herbs like lavender, thyme, cosmos, celosia and daisies – these will help with pollination of fruits, vegetables and trees!